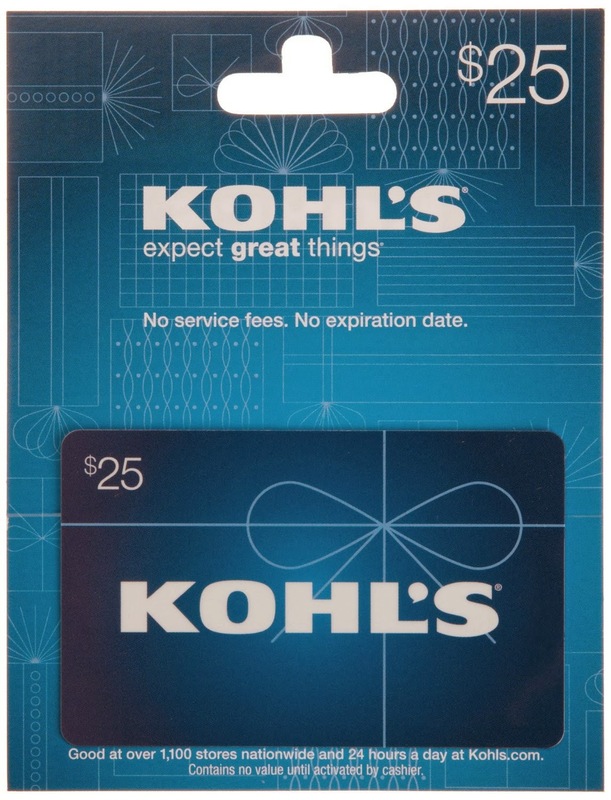 Sasaki Time: Giveaway: $25 Gift Card to Kohl's! 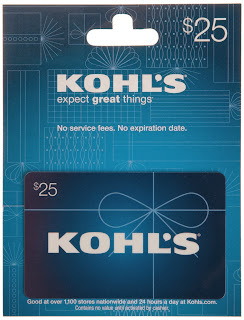 Enter to win a $25 gift card to Kohl's! I would use it to buy a gift for someone else. I would use it to buy my daughter a pretty Christmas dress! It would be a gift for my step-son! this would be for my daughter's birthday in early January. We have an annual mom-daughter shopping trip. This would be for my sister. Thanks for the giveaway! Gift for me.. might buy a few gifts. I would use the gift card on my kids. I would use this gift card for myself. I would use this on me!! It is tempting to keep it for myself, but I would probably give it to one of my daughters. Id give it to my mom. I would keep it and buy my oldest daughter some new shoes. She just about outgrew hers. I think for once, I would keep it and by myself something! This would be a gift for my niece. definitely for my kids for Christmas! I would get a new bath robe for my sister in law, she really wants a new one! Third would be gift for my sons teacher. This would probably be a gift to myself. Thank you for the giveaway!! I'd use it for someone else! because it is the holiday season it is to buy gifts for others :) Love this time of year!!! I would use this one for me! I would give this to my daughter. she loves to shop. This gift card would be a Christmas gift for me :) I would use it to buy some much needed winter clothes! This woould be for my nephew. He needs some new work clothes. I would use this one for myself! this would be a gift or my daughter! I'd use it for myself! I would gift it to my daughter so she can get the boots she wants. I would use it on myself to buy some new shoes! This would be a gift for myself...I love shopping at Kohl's; they have the best selection of children's clothing! it would be for me to buy a present. This gift card would be a gift for myself so i can get some new work clothes. This gift card would be for me to go buy gifts for others. For me I desperately need some new shoes for work and can't afford them. I would use it as a gift for someone else. This would be for me - I love the Food Network products they carry!